For example, if a building (or portion of a building) is complete but the site work is still under construction, I would be able to grant a temporary occupancy as long as there is a delineated path to allow the occupants of the building safe passage to a public right-of-way. I would not issue a final certificate of occupancy until all the work is complete on the entire site. Appropriate barriers are required to keep occupants away from any portions of the building or site where construction is still in process. The new home of Apple began construction back in 2013 and was originally planned to open for employees in April 2017. It turned out to be a harder task than thought initially, as by August of 2017 Apple had occupancy permission for two areas only - the Story Office Building and the central utility plant. There were some good news though, as the company was allowed to open the visitors center and, briefly, the Steve Jobs Theater, where it held an event, presenting the iPhone X and 8 / 8 Plus. 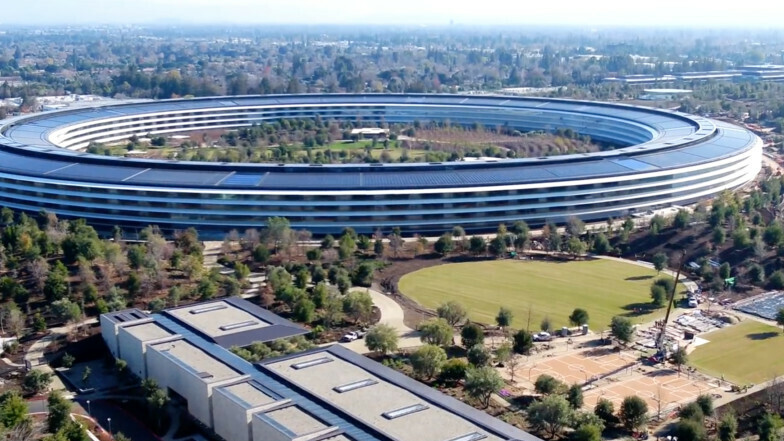 Facts wise, Apple Park occupies an area of 2,800,000 square feet (no wonder they missed the construction deadline), and, when finished, will be home to the creativity and innovations of over 12,000 employees. It has every feature needed to make a person feel comfortable including a café with 3,000 seating places and a 10,000 capacity wellness center (if you work for Apple and you're out of shape, you've got no excuse). Another highlight is the fact the electricity needed will be produced only by solar panels, making 'the spaceship' one of the most energy-efficient buildings up to date. Oh, and let's not forget the cost of this project - $5 billion. Money well spent. The Design is not doubt one of the best I have seen. It is really a testament to, the GOD given gift of, man's engineering marvel. Love the look. DOES any one know if they used concrete or foamcrete, i mean its super green and earthquake, fire, pest, resistant and is an amazing insulation option. Good question. Wish I knew, too. I lived in that area for a couple of years, and I know many of the houses there in the San Jose area are just made of stucco and foamcrete. this is probably the only thing I like about Apple... this is by far the coolest thing I have ever seen... why cant their phones be memorable like this so called "Apple Park"..? (trash talk aside) I definitely wouldn't mind a tour... lol!! I'd love to take a tour of that building. I'm impressed by the architecture.